Planning a fun and memorable birthday party for kids is more than just awesome decorations, cool games, and a creative cake — it’s also about serving kid-friendly appetizers. Keeping the crowd fed and happy, especially young, picky eaters, until the encore — a spectacular cake — might seem like a challenge. But relax. We’ve prepared a simple list of easy to make kid-friendly appetizers for a birthday party, that are sure to please all your guests. 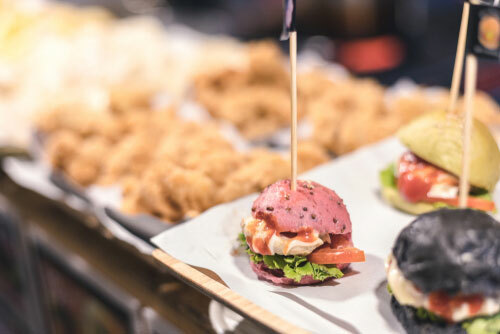 Everyone loves finger food at a party, and kids especially enjoy mini bites. Besides, grilled cheese is always a hit. And this one’s super simple. 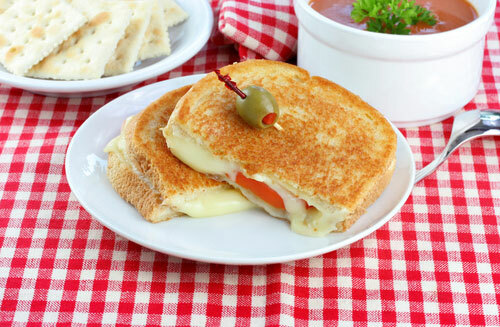 Simply make your grilled cheese sandwiches by buttering both sides of the bread and placing your favorite cheese in the center. Grill until the bread is golden brown and the cheese has melted. Let the sandwiches slightly cool before slicing each one into 4 long individual pieces. After you’ve made enough for your guests (generally about 3-4 slices per child), warm some tomato soup, pour it into small bowls and use it as a fun and tasty mini grilled cheese dipping sauce. This is both comfort food and a great party appetizer for kids. They’ll definitely come back for more. These are easy, cute, delicious and sure to be a hit at the birthday party. Here’s all you need to do. First, make bite-sized patties. You can bake them in the oven or cook them on the stovetop, depending on your preference. Once they’re done, place a tiny patty on a small wooden skewer, and alternate with a small wedge of cheese, a pickle slice, a bit of lettuce, and a cherry tomato. Serve the tiny cheeseburgers with sides of ranch dressing, mustard, and, of course, the kids’ favorite condiment, catsup. These are both tasty and fun. Yes, parents will appreciate you serving a few healthy snacks. But, healthy only matters if the kids actually eat the food. Just like with adult appetizers, flavor and presentation matter to kids. And with this easy dish, there’s no need to sacrifice either. 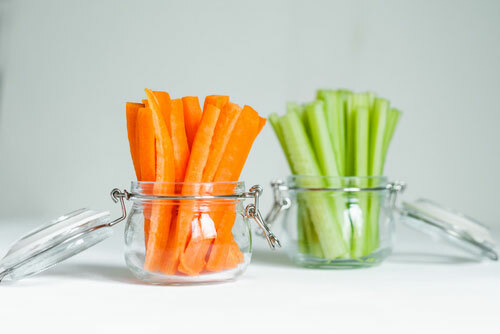 Peel and slice carrots in long, thin strips. Then, add other veggies of choice, like sliced celery, sweet bell peppers, and tomato wedges. Place a bit of ranch dip at the bottom of individual clear plastic cups. Layer the veggies into the cup and serve. Delicious! Another great healthy appetizer is fresh fruit. To keep things from being boring, why not make the fruit snacks into kabobs? Besides being attractive, kids love treats on a stick. 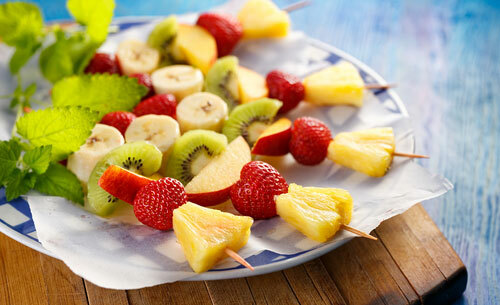 Just take fresh fruit like colorful berries, melon slices, and chunks of banana, and place them on wooden skewers. Then, place the skewers on a large platter and offer bowls of whipped cream, melted chocolate, and yogurt as dipping sauces. These not only make easy to serve finger food, but they’re also delicious and fun to eat. Tip: you can splash just a bit of lemon juice over the banana slices to keep them from turning brown. If you want to serve some creative appetizers for the birthday party guests, as well as for their hungry parents, look for Lemon and Vine products in the freezer section of your local grocery store. We always use the finest ingredients and authentic Greek recipes to make our incredible appetizers. And remember, we’ve done all the hard work for you. So, in between inflating balloons and making punch, you can just pop the appetizers in the oven and serve them up in style.